Atlanta Falcons quarterback Matt Ryan operated without two of his top targets in practice on Thursday when Mohamed Sanu and Calvin Ridley were sidelined due to injuries. Sanu is battling a sore hip and Ridley has an ankle injury. The only other player who missed Thursday's practice for Atlanta was kicker Matt Bryant, who already has been ruled out with a strained hamstring for Monday's date with the New York Giants. 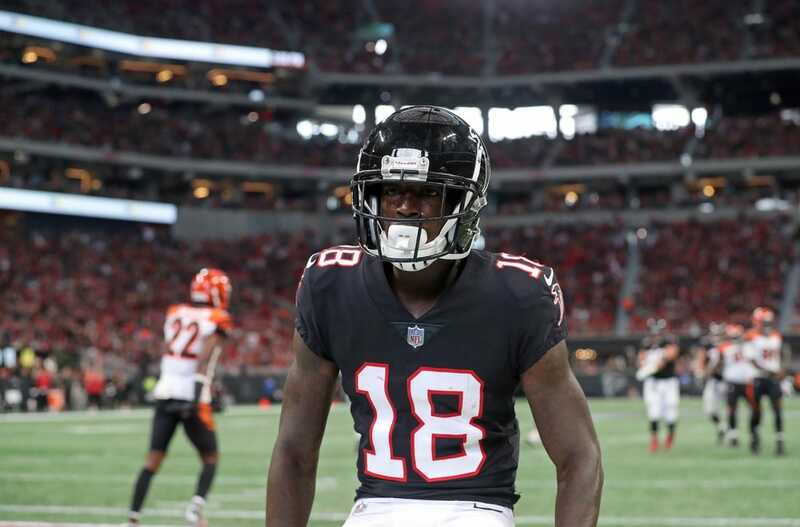 Head coach Dan Quinn sounded optimistic on Thursday that both Sanu and Ridley could be on the field for the primetime game. Ridley has a team-leading six touchdowns and 22 receptions. Sanu also has 22 catches and three touchdowns this season.